Gunnar Palm was born in 1972 in Germany. After training as an aircraft mechanic and a mechanical engineering degree, he moved first to the IT industry. After GP always had a passion for travel, aircraft and aircraft engineering, he made this passion into a profession. GP left Germany in 2001. Shortly before his interest was awakened in the young kiting sport. 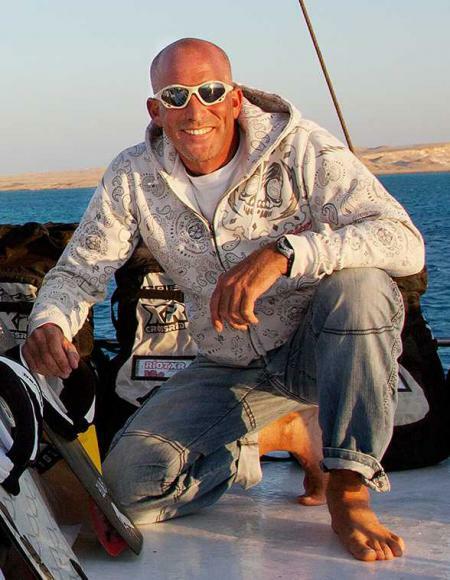 The next few years he was working as a kiteinstructor and was managing surf-/kitecenters on different islands such as Greek Islands, Boa Vista (Cape Verde Islands) and Fuerteventura . During this period, GP improved his kite knowledge and training methods. For more than 10 years, GP is active in water sports. Gunnar Palm is trained and certified VDWS, IKO, CDWS Kiteinstructor. 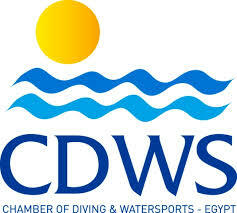 Since 2006, GP managed an approved kitesurf center in Dahab. 2009 the idea was developed to found his own company, which was the basis for a new step. This idea to teach people who are interested in kitesurfing is to provide safe conditions in an unequaled environment. e.g. snorkeling to discover the enchanting underwater world, desert safaris, canyon tours, quad biking, camel and horse riding, bedouin evenings, international diving centers, wakeboarding, international restaurants, discotheques or simply relaxing at the pool or at the hotel beach. Although Dahab only was known as diving and wind surfing spot in recent years, Dahab has also established itself becoming a kite spot. To have the possibilitiy to kitesurf all year, and with a wind output that is hard to beat, Dahab is one of the 5 best spots for windlovers in the world. Dahab (دهب) is a small town situated on the southeast coast of the Sinai Peninsula in Egypt. Formerly a Bedouin fishing village, located approximately 80 km (50 miles) northeast of Sharm el-Sheikh, Dahab is considered to be one of the Sinai's most treasured diving destinations. Following the Six Day War, the town was occupied by Israel and is known in Hebrew as Di-Zahav, a place mentioned in the Bible as one of the stations for the Israelites during the Exodus from Egypt. The Sinai Peninsula was restored to Egyptian rule in the Israel-Egypt Peace Treaty in 1982. The arrival of international hotel chains and the establishment of other ancillary facilities has since made the town a popular destination with tourists. Dahab is served by Sharm el-Sheikh International Airport. Masbat (within Dahab) is a popular diving destination, meaning that there are many (50+) dive centers located within Dahab. Dahab enjoys large numbers of tourists. It is world-renowned for its kitesurfing. Reliable winds provide superb flat-water conditions inside Dahab's sand spit. Further away from shore, wavy conditions couple with strong winds to provide formidable conditions for keen windsurfers. SCUBA diving and snorkelling are also popular activities with many reefs immediately adjacent to waterfront hotels. The nearby Blue Hole-Which is nicknamed as "The World's Most Dangerous Diving Site"- and Canyon are internationally famous dive spots. Land based activities include camel, horse, jeep and quad bike trips. Mount Sinai is a two hours drive, with Saint Catherine's Monastery being a popular tourist destination.